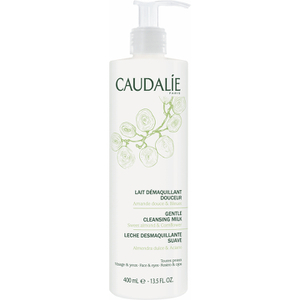 The soap-free Caudalie Instant Foaming Cleanser transforms into a gorgeous airy mousse that cleanses and refreshes your skin, without over drying or stripping essential moisture, leaving your complexion feeling fresh and clear. The nourishing blend of Grape Extracts, Sage and Chamomile soothes and softens skin, creating a healthy-looking radiance. The improved formula is now 99% natural, making it suitable for all skin types, including combination or sensitive skin. Compared with moisturizing, cost-effective, fast use. This product was awesome and much cheaper than australia's! Will be back again! Mildness in nature, without irritation, fit for sensitive skin. very good I gived to my friends,they also love it ! The price is top cheaper than Sephora in China. My skin is normal to dry. And after I use it, my face feels smooth, clean and moist. It smells good! I really like it! The global delivery is also super good! Thanks very much!